Barkin Ladi, Jos, Nigeria- Herder Muhammad Yusuf, 20 shakes the hand of farmer Amos Lenji, in Barkin Ladi, Nigeria on Wednesday, October 24, 2018. Vigilantes were called by farmer Amos Lenji after he confronted a group of herders who allowed their cows to graze in his maize farm that was not yet harvested. 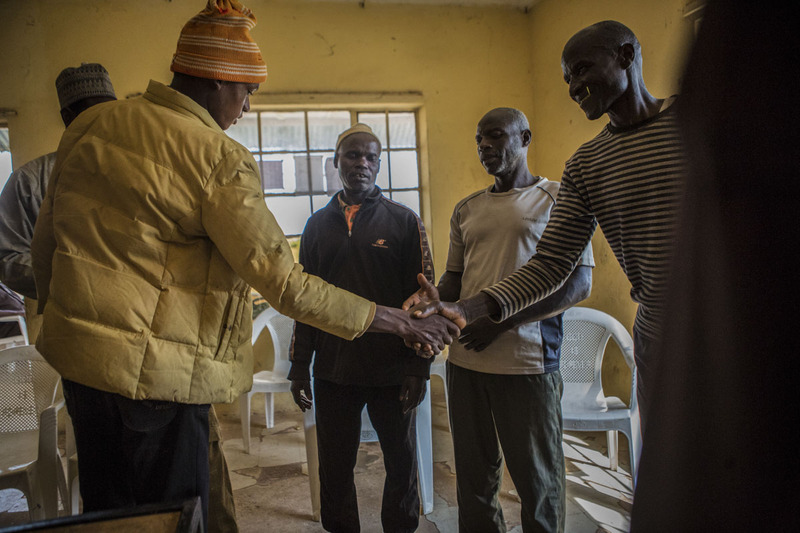 After one of the young herders threatened the life of Lenji, herder Muhammed Yusuf came forward to take responsibility for the actions of the other herders. After the mediation, both groups were appeased and the only compensation asked for by Lenji was to reimburse the vigilantes for fuel.